HandyGames and Black Forest Games have announced that Giana Sisters: Twisted Dreams – Owltimate Edition is out now on Nintendo Switch for $29.99 / €29.99 / £29.99. 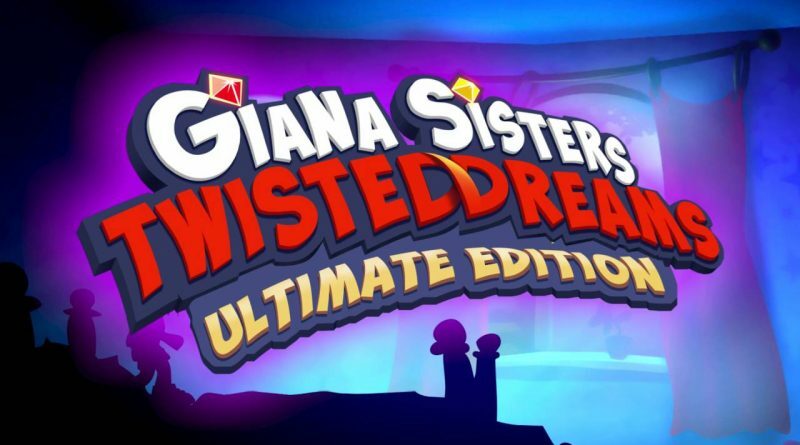 The Owltimate Edtion contains the original Giana Sisters: Twisted Dreams as well as all existing DLC, including Rise Of The Owlverlord. But that’s not all. Five brand-new levels and beautiful new story cutscenes between each level make this the best Giana Sisters outing ever. Also, renowned German video game music composer Chris Huelsbeck and Swedish band Machinae Supremacy have created new tracks for the game. Giana Sisters: Twisted Dreams offers classic 2D platforming fun in meticulously detailed 3D environments. Players can turn cute Giana into a punk version of herself at the press of a button, transforming the game’s star, the soundtrack and even the world. This overhaul isn’t merely cosmetic: Giana’s punk persona is a critical to overcoming obstacles and solving particularly tricky situations. In her sweet incarnation, Giana whirls gracefully over obstacles and opponents, but when ‘punked up’ she smashes through stone blocks with mighty dashes and can master her environment by bouncing off walls.